While walking with Luna, Usagi bumps into Mamoru. She is startled but doesn’t see him clearly and doubts that it’s him. Her star stopwatch that Mamoru had given her starts working again. Motoki brings his friend Endo to Crown Arcade but is stopped by the (now evil) Mamoru. Mamoru hypnotises but Endo and Motoki, sends Endo away and makes Motoki believe that he is his friend, Endo. Later, Motoki’s girlfriend Reika stops by and is confused by the new Endo. She drops her book which just happens to be about crystals and gems. Mamoru notices the four gems on the cover; jadeite, kunzite, zoisite and nephrite. Meanwhile, Usagi, Rei, Minako and Makoto are all going to Ami’s apartment to have a sleepover and discuss all the recent revelations. They discover that the Holy Sword is stronger than diamond as well as poisonous and theorise that the enemy could have caused this corruption. 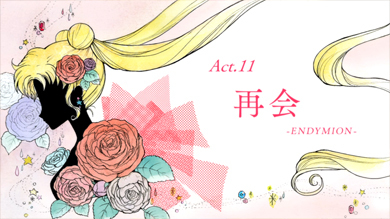 Usagi ends up leaving and stops by Crown where she sees Mamoru. 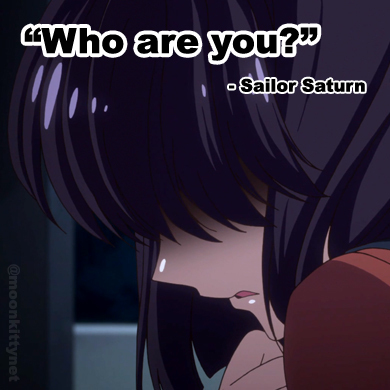 Makoto, Rei and Ami become worried about Usagi who begins spending a lot of time with Mamoru. They talk to Reika who also looks concerned and she tells them that she has no idea who this person is. Makoto confronts Mamoru and he hypnotises her. Makoto calls the girls to the control centre in an attempt to get the Imperial Silver Crystal. Tuxedo Mask and Motoki reveal themselves to the girls and they all transform except for Usagi who is in denial. The hypnotised Motoki tries to get the crystal but Sailor Venus captures him in her chain and zaps him with her Venus Love Me Chain attack which knocks him out. Tuxedo Mask manages to snap the crystal out of Venus’ hands with his magical powers but Mercury attacks with Mercury Aqua Mist which creates a sort of whirlpool to bring the crystal closer to her instead. Sailor Mars attacks him with a kick but she is quickly blasted aside. Luna attacks Tuxedo Mask but is seriously injured by him. Seeing Luna hurt, Usagi transforms into Sailor Moon and uses Moon Healing Escalation to heal everyone. Queen Beryl appears and tells Sailor Moon that this man attacking her is the real Tuxedo Mask. 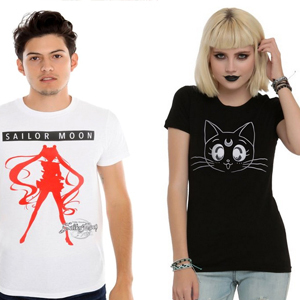 Sailor Moon is unsure if she can fight him. 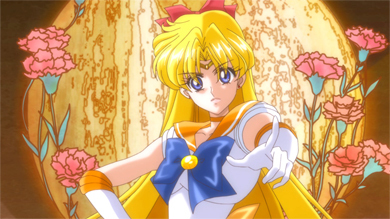 We saw Sailor Venus’ full transformation and introduction for the first time in this episode.